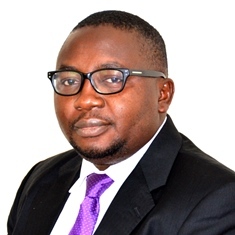 Mr. Adebayo Adekola Adelabu, until his appointment as Deputy Governor of the Central Bank of Nigeria (CBN), was an Executive Director/Chief Financial Officer (CFO) of First Bank of Nigeria Plc. (FBN). Prior to that, he held the positions of General Manager as the West African Regional Head of Finance and Strategy (Consumer Banking Business) for Standard Chartered Bank from where he was head-hunted in 2009. Bayo holds a First Class degree in Accounting from Obafemi Awolowo University, Ile-Ife and he is a fellow of the Institute of Chartered Accountants of Nigeria (ICAN) and a member of the Institute of Directors of Nigeria. He had his professional training with PriceWaterhouse (now PricewaterhouseCoopers), an international firm of Chartered Accountants and Management Consultants where he worked for seven years. While with the firm, he led and managed various audit and consultancy engagements for large banks and non-bank financial institutions within and outside Nigeria. He was also on secondment to the CBN for one year (in 1999) when he led the Finance team on the CBN re-engineering and corporate renewal project tagged "Project EAGLES". He left the firm in year 2000 as an Audit Manager and Senior Consultant to join First Atlantic Bank as the Financial Controller and Group Head of Risk Management and Controls. He also held various other positions while in First Atlantic Bank including the Chief Inspector of the Bank (2002) and Group Head of National Public Sector Business (2003). Mr. Adelabu had attended various local and International trainings, seminars and conferences including the University of London School of Management Development and the United States Institute of Internal Auditors in Orlando, Florida. He is a member of Ikoyi Club 1938, Jericho Businessmen Club and Ibadan Golf Club. He is married with children.